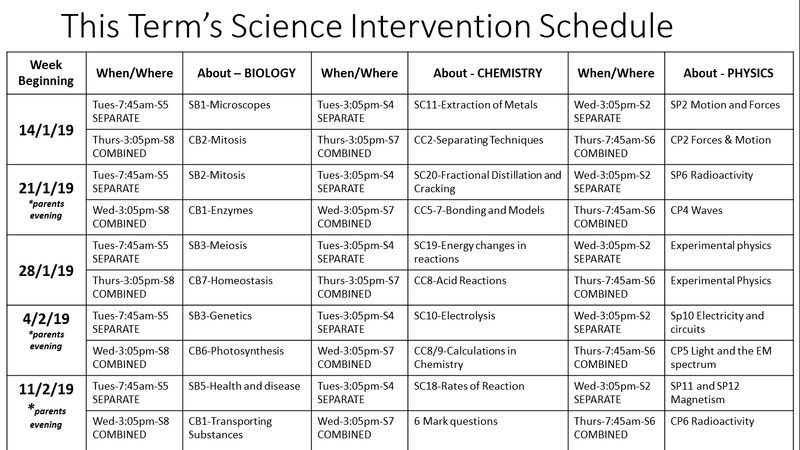 Please see below for the Science intervention Schedule. Where a Thursday session is offered and it falls on the same evening as a Parent's evening, then this session will move to the Wednesday evening. The topics of each session are displayed so that students can pick and choose the sessions they would like to attend. The aim of this additional help is to provide support for the independent study that the students are completing at home. This does not replace independent revision time. 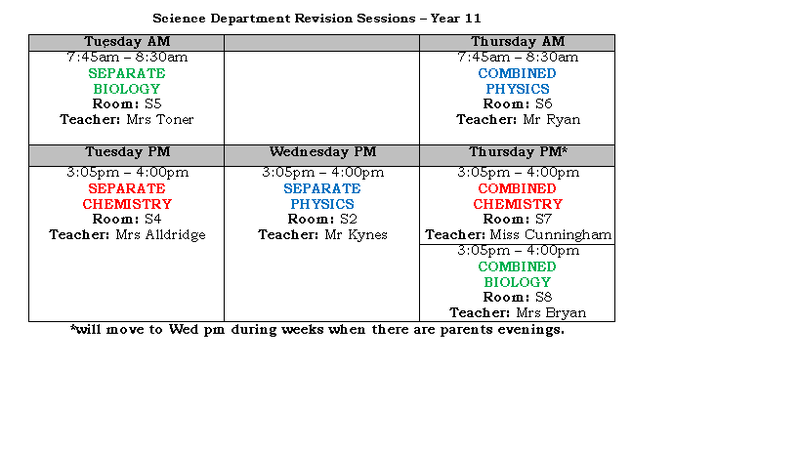 Science is a content driven subject and it is therefore important that students prepare a revision timetable to ensure that they have covered the vast amount of content by the start of the exam session.